Life Insurance – Gary S. Becker, Inc.
And all the latest and greatest the industry has to offer! Life insurance is something that many people think about, but often procrastinate on purchasing. Some people aren’t sure if they need it, some think they can’t afford it, and some are just afraid to think about it. Buying life insurance sooner than later can be beneficial to everyone. Just like any other insurance, you don’t want to be without it because you never know what’s going to happen. Having a policy in place even if you don’t think you need it means your loved ones are covered should something unexpected happen. It provides a sense of security knowing it’s taken care of ahead of time. Children’s life insurance is important too. 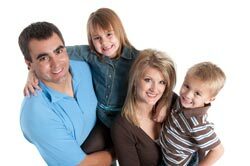 Many people don’t think about purchasing life insurance for their children but it can provide a solid financial head start. Buy it now and they will have it for years to come no matter where their future health or occupation takes them. Life insurance for your children serves as a very valuable gift in the future. Life insurance can save money. It can help with burial costs and ease the financial burden on grieving family members. The cost of final expenses and other costs associated with your unexpected death are reasons enough to purchase a valuable life insurance policy. It’s a smart financial move that can benefit your family and make it easier when you’re gone. Getting life insurance can be simple. Purchasing life insurance may seem like a difficult task, but it can be very simple. Some companies offer life insurance policies directly through the mail with only a few simple Yes/No health questions; no time-consuming or complex medical exams. You may also be able to get both child and adult policies from the same company. Securing life insurance for your whole family in one place saves time, cuts down on paperwork and makes the overall process simpler. Life Insurance can be affordable. No matter what budget you live on, there should a life insurance policy you can afford. Talk to your family members and decide what type of coverage you need, then find a plan with rates that fit within your means.